During the weekend of July 20-22nd, Pennsylvania DeMolay held the annual Convention at the Aspire Hotel and Convention Center Resort in Gettysburg, PA. Convention is a time to meet with members and Advisors from across the Commonwealth to conduct business, elect officers for the current year, and receive awards and scholarships. Participants arrived Friday afternoon for an optional activity to have fun at All-Star Sports Complex. Members could play laser-tag, race go-karts, and play arcade games. After dinner, groups were sent to Escape Room 1863 for a Civil War based challenge. Each room was filled with puzzles and tasks that must have been completed in an allotted time. On Saturday, the business session opened with the election of State Officers for the 2018-2019 term. Congratulations to the following officers on their election: Bro. Tyler Moyer, State Master Councilor; Bro. Andrew Santilli, Deputy State Master Councilor; James McKeown, State Senior Councilor; Jacob Reilly, State Junior Councilor; Andrew Caroselli, State Scribe. Miss Samantha Moore was also elected and installed as the State Sweetheart. Awards and Scholarships were distributed during both the business session and the luncheon. RD of the Year was given to Bro. Christopher Black in the Junior Division, Bro. Brandon Whited in the Middle Division, Bro. Sean Summerfield in the Senior Division, and Miss Mary Lichtenwalner in the Sweetheart Division. “Dad” Seth Anthony and “Mom” Linda Pullin were presented with the Hodegos Award, sponsored by the Grand Lodge of Pennsylvania. “Dad” Bill Holtzer was recognized as this years recipient of the guild of the leather apron. After the luncheon, members and Advisors participated in a Civil War presentation at the hotel with a Ghost Tour held after dinner. On Sunday, the Installation of the 2018-2019 officers took place. Bro. Tyler Moyer, the 84th State Master Councilor in Pennsylvania, presented his term plan, “A Brotherhood Awakens.” Congratulations to all elected officers and award winners on a great 2018 Convention. 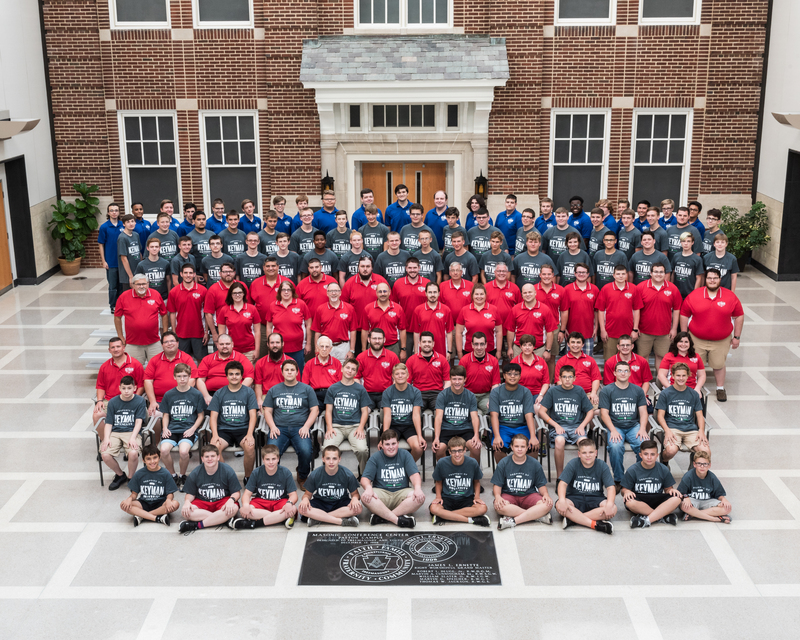 See you next year in Cranberry, PA.
During the weekend of May 4-6, 2018 at the Masonic Conference Center – Patton Campus in Elizabethtown, PA DeMolay held its last state weekend of the term, calling it “The Grand Tour Weekend.” Staying in theme of the Spring Leadership Weekend tradition, members had the chance to learn about several different DeMolay related and life oriented workshops; including personal finance, the art of persuasion, dressing for success, the perks of DeMolay, and a preparation for the DeMolay centennial celebration. Ritual work had a focal point on the weekend too, with ritual rooms designed for members to work on their obligations or other specific ritual parts. Along with the learning, there were several chances for the members to have fun with indoor and outdoor games and activities. The GO Program was brought to a close with the last state weekend of the term, but left members and Advisors excited for the future. During the weekend of March 16 to 18th, members of PA DeMolay enjoyed some fun and competitive games of Volleyball during the Chase Weekend. Teams were decided on Friday night, with all games taking place on Saturday. Several workshops and fun activities took place, including “The Chase” which put DeMolay members against “The Beast” (otherwise known as SMC Jake Beers) in several trivia questions. The weekend was a success, with plenty of fellowship to go around.